All types of Manufacturers will need to have an Insurance policy that covers more than just the traditional liability & property exposures. Finding the right coverage, and carrier will be instrumental for any manufacturer. Finding a carrier with a great Loss Control program will keep your workplace safer, and ultimately reduce your premiums, and claims exposure. All carriers that specialize in providing coverage for manufacturers will have industry specific experts to help you manage risk for your business. Every policy should include some form of Equipment Breakdown coverage. If a production line goes down, costs to fix or replace the equipment could be costly since a time element is usually involved. Most standard policies do not include this coverage, make sure you have this endorsement added to your program. This coverage part is vital to every manufacturer. Whether a production line breaks down, have a fire at your facility, or a supplier fails to deliver the materials you need, your business could face significant loss of income. To properly insure for this risk, have your CFO work with an insurance professional to determine the appropriate limit of coverage needed. This coverage provides protection from product failure, delay in work, or negligent product design. For example, your company makes Styrofoam box inserts for a large Computer manufacturing company shipping the newest laptop. Your design did not properly secure the laptop in the box resulting in a claim for negligent product design, and delay of work. These losses could result in thousands, or even millions of lost revenues. This is paramount especially for food & drink manufactures. 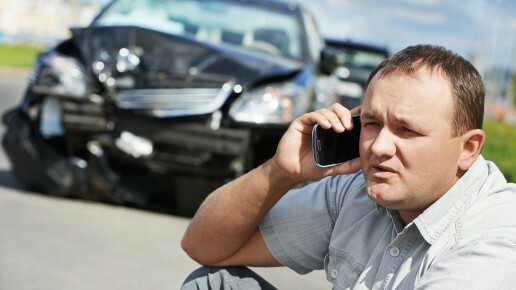 This will protect you from any claim resulting in product or bodily injury loss. For example; A cheesecake bakery ships product that is contaminated with a food born illness, that resulted in an entire shipment to be discarded, and a few ill consumers. This coverage will protect your business from costs associated with notification, transportation, destruction, replacement, compensatory damages, legal, and public relations expenses resulting from a Withdrawal or Recall of a product. In 1994, Derek Crane, with his father Fred, opened Crane’s Welding, a welding repair shop. Over the years, the shop progressed into a full-service welding, fabrication, and steel erection company, licensed in VA, WV & MD, with clients of all sizes. Homestead Insurance helped Crane’s Welding ensure they have the appropriate commercial insurance coverage at an affordable rate with reliable agents to back them. Recommended by a friend and business owner, Homestead Insurance took care of all our needs. PJ really explained our options, in a way we could understand. We can contact him with any situation or question and he is always quick to respond. We recommend Homestead Insurance to anyone who wants an agent dedicated to them and their business.